Warmth..........what more do we need to say about these thermals! They are super warm, super good looking and made from our popular NTS hollow core polyester fabric. The fit is bang on and the v neck and these look great under our fleece tees. Long sleeve construction combined with flatlock seams and embroidered sleeve ends create an awesome fit. 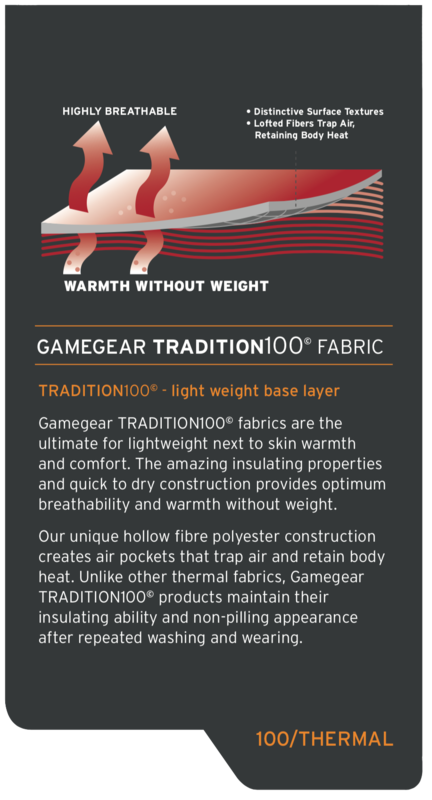 The 100% micro-polyester fabric contains hollow-core yarns that dramatically increase the garments’ insulating capabilities. This allows maximum warmth without excess weight. The unique combination of multi-channel and hollow fibers is designed to provide maximum warmth while reducing the adverse effects of perspiration, condensation and humidity. The fine multi-channeled fiber transports away moisture while the hollow fibers provide excellent loft with minimum weight. Good top ro use as in a layering system, performs well as giod as more expensive items!